From your proprietor, Dawn Hall. The original Tushita Heaven opened in late 2005 in the courtyard of a centrally located downtown building in the historic district of San Juan Capistrano, Ca. 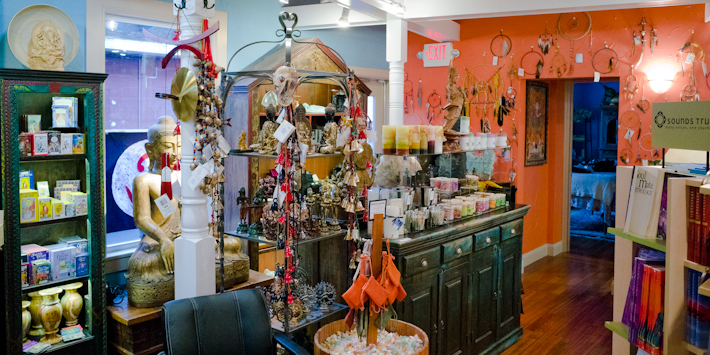 In 2009, the business moved across the courtyard into a 4500 square foot space and expanded both the retail inventory, and the types of services, becoming one of the leading wellness centers in Orange County. My husband’s career path, and a need to be closer to family, induced a relocation to Saratoga Springs, New York in early 2011. We packed up lock stock and barrel, shipping the entire store across country to a small location on Broadway. Saratogians greeted us with a warm, exciting welcome when we opened on July first. As a result, we again moved in the Spring of 2014 into our current larger store at 423 Broadway, where we now have room for service once more. Locals and visitors alike have embraced Tushita. The Focus at Tushita is to have metaphysics and mainstream shake hands. We are specialists in helping folks with little or no experience, have the world of healing stones explained in words and terms they can understand. 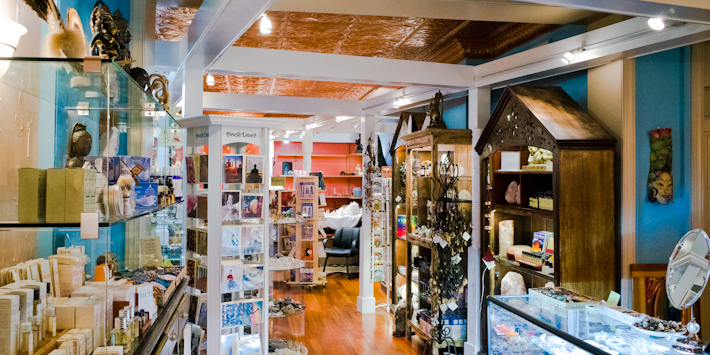 We are also adept at helping healers, and those in the healing arts, select the right stones for their needs, and even have some things for jewelers and collectors; but we are not only a rock shop! Don’t miss the huge variety of gift items that are available. 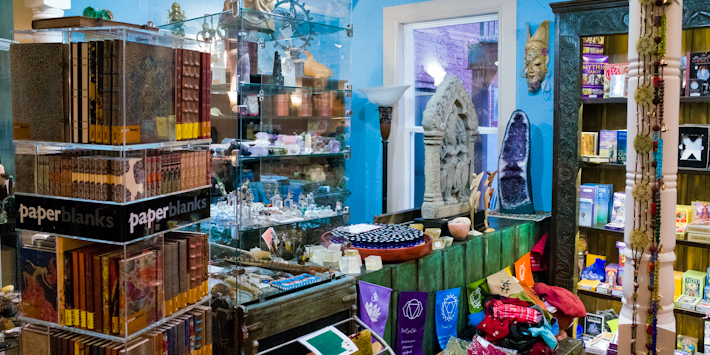 We truly have something for everyone, and you don’t have to be metaphysical to shop with us. It is my intention to offer a well-rounded inventory of spiritually engaging items that are beautiful, affordable, and not too blatantly pointed toward any particular modality. We are a sacred, spiritual space and hold that focus daily, honoring all belief systems and walks of life. That intention creates an uplifting, clean, vibrant energy for those who visit. It is my pleasure to hold the space at Tushita Heaven and to share it with you as a healing space, a place of friendship, a learning forum, and a place to expand and grow. I am a healer who has been helping people find their inner power and divine beauty since 1997. Wanting to reach more people than I could one-on-one, the concept for Tushita Heaven began to form. I dreamt of a place that would offer quality products that could ignite inner growth and allow people to exchange knowledge that could morph into wisdom. I wanted to reach thousands of people, not hundreds. Dawn has retired from Hands-on Healing work, but is still in the shop five days a week. 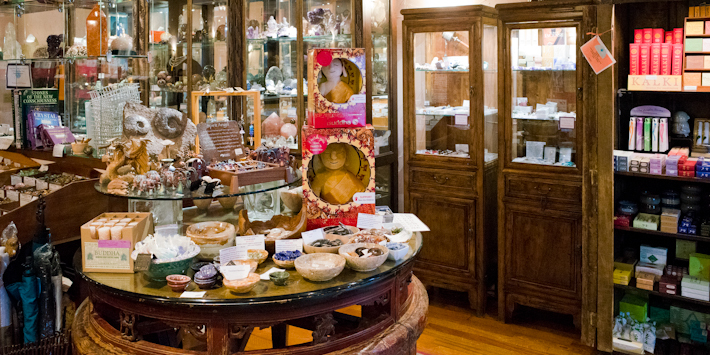 Visit us today for Saratoga Springs' best healing crystals, tumbled stones, handcrafted jewelry, and spiritual gifts!